USD/JPY is showing little movement in the Wednesday session. In the North American session, the pair is trading at 111.08, down 0.07% on the day. In Japan, Core Machinery Orders gained 1.8%, missing the estimate of 3.0%. Japanese PPI rose 1.3%, above the estimate of 1.0%. In the U.S., consumer inflation numbers were mixed. In the U.S., CPI was stronger than expected, with gain of 0.4%, above the estimate of 0.3%. Core CPI remained steady at 0.1%, shy of the estimate of 0.2%. Later in the day, the FOMC releases the minutes of the March policy meeting. On Thursday, the U.S. releases PPI. On Wednesday, investors will be keeping a close look at Federal Reserve, which releases the minutes of the March meeting. At the meeting, the Fed said it would start tapering the reduction of its balance sheet in May. This marks a loosening of policy, and comes in response to weaker economic data out of the U.S. in recent months. The minutes should be treated as a market-mover, and if the minutes are dovish, investors could snap up the safe-haven yen. The economic outlook for Japan remains bleak, as the bruising U.S.-China trade war has damaged the manufacturing sector and taken a toll on Japanese exports. Earlier in the week, a BoJ forecast downgraded its assessment for three of the country’s nine regions. Despite the pessimistic report, BoJ Governor Haruhiko Kuroda remained optimistic, saying that stronger domestic demand would offset the decline in exports, which would enable the economy to grow at a moderate pace. Kuroda also said that he was confident that inflation would gradually accelerate towards the BoJ’s target of 2 percent. 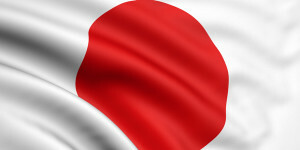 In March, Japanese PPI posted a strong gain of 1.3%, marking a three-month high.